The excellent care services that we provide are some of the best around, and we’re incredibly proud to serve our residents. From dementia care to companionship and assisted living support, there are services for everyone with us. Based in Holmbury St Mary, Between Guildford and Dorking our retirement home is the best place for assisted living and residential care in the local area. 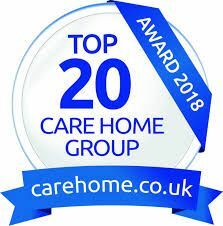 Felbury House has built a reputation for excellence over the last 25 years, and this is proven by being voted part of the small care group Best Care Home for 2017 and 2018. We’re linked with the Surrey Care Association, and this shows the quality care services that we provide. Thank you for taking the time to contact us here at Felbury House. If you require any further information then please do not hesitate to call us on the above at any time and speak with our Manager. She’ll be more than happy to answer any of your questions. We’d be delighted to meet with you and show you around at any time. You’re welcome to visit us and to meet with some of our other residents who are invariably our best advertisement. CONTACT US, in Dorking, Surrey, to find out more about our retirement home and residential care services.